Our young people love Cancun, Mexico, especially during “spring break.” Some of them are into diving and can’t wait to jump into their gear and swim to the ocean floor. 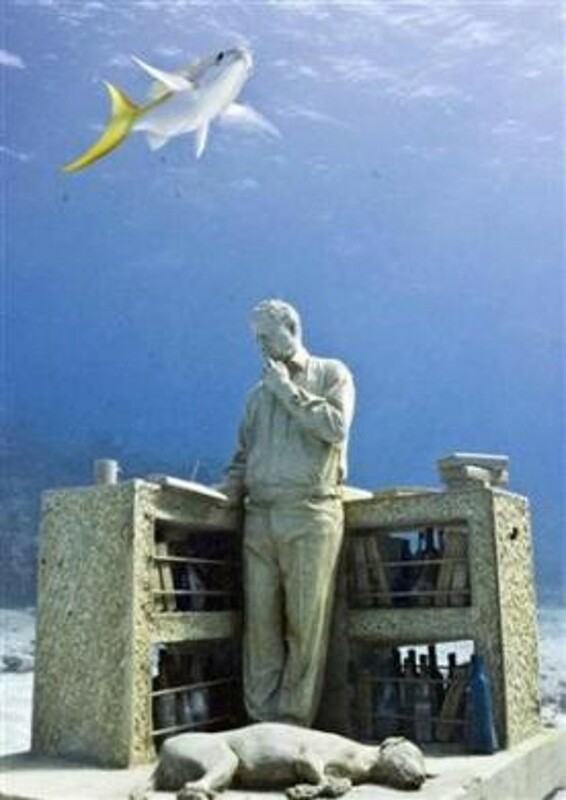 Thing is, this is causing a serious problem with the fishes. 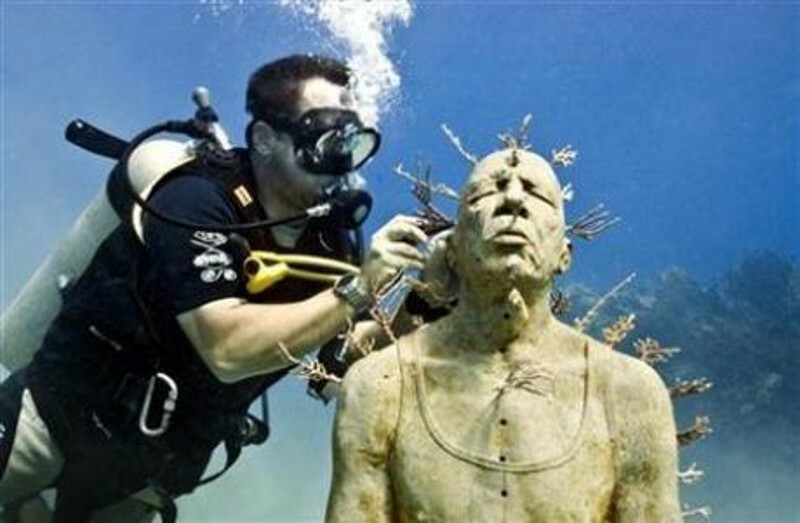 The latest venture to save the ecosystem is the creation of “Silent Evolution.” Nearly 400 life-size sculptures will be submerged off Cancun by the end of 2010.These are low-acidity cement figures, designed to be anti-corrosive that mimic rock. 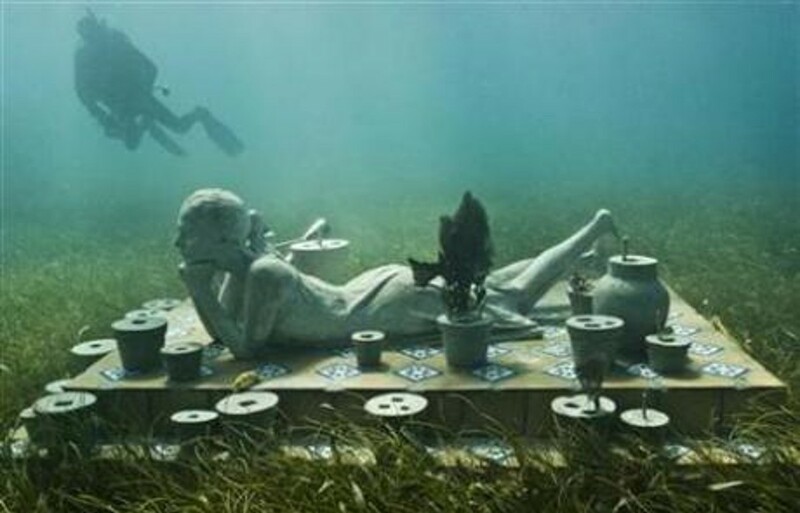 They will transform over time into artificial reefs; some will be placed in the shallows to the snorkelers delight. These are some of the figures to admire if you get the chance to visit. 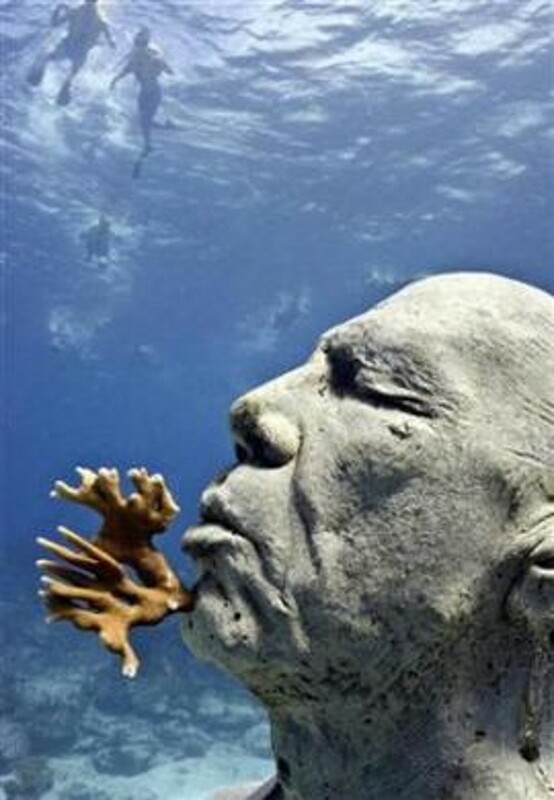 This entry was posted in Environment and tagged Cancun Mexico, ecosystem, ocean, sculptures. Bookmark the permalink.